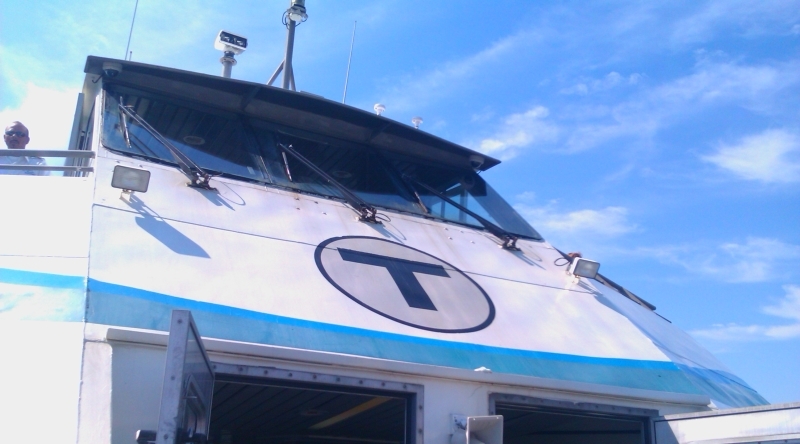 State Senator Thomas McGee’s office gathered roughly 70 community leaders on Wednesday for a trial-run on one of the MBTA’s ferries, which gave them a flavor of what having a ferry would be like for the city, moving one step closer to giving daily commuters a new option. (EDIC), along with state and city officials, who have been working toward achieving this endeavor for five years now. The addition of a ferry could help Lynn capitalize on its waterfront, which many consider to be its biggest asset for economic development and growth. When the ferry is, fingers crossed, in full swing two and half years from now, it will be located off the Lynnway, docked along Blossom Street, and keep a regular schedule to meet commuters needs, dropping passengers at Boston’s Long Wharf.. Unlike Salem’s ferry which operates from April to October and caters mostly to tourists, Lynn’s will operate year round. “In general, people are looking at alternative transportation in and out of Boston especially with the high cost of gas these days,” said James Cowdell, executive director of the EDIC, he anticipates that the ferry, whether leased or purchased by the city, will be the same size as Salem’s, which can carry 149 passengers. The ferry will not only provide Lynners with a commute into the city, but also bring in other North Shore residents to the city. “Originally people seemed to think this was a far-fetched idea. I think it puts Lynn in a positive light and is a much needed project. You will find once this is up and running that commuters will come from Lynn, Nahant, Swampscott and Marblehead,” said Cowdell. Jackson carries an idealistic outlook for what the ferry will bring in the long-term for the city. “I’m hopeful that other services will soon follow this to take us from Lynn to the Boston Harbor Islands, to Rockport, to Newburyport, to Charlestown, etc. The notion that the entire city is working toward making this project come to fruition resonated with the jovial feeling everyone had about the project aboard the ferry Wednesday. “Senator McGee, Representative Steven Walsh, and all of our city officials seem to be embracing this. It’s one of the few times I’ve seen everyone in such violent agreement,” Jackson said. The ride is peaceful, the views spectacular, and will most definitely be worth trading in the frustration that inevitably comes with MBTA rail and subway services or driving, for a more relaxing and enjoyable experience.